Released in 2009 as one of three Need for Speed titles, '''Need for Speed: Shift''' is a significant departure from previous Need for Speed titles. 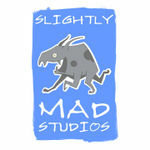 Developed by Slightly Mad Studios, '''Shift''' is rumored to focus more on simulation racing than the arcade racing of previous titles and placing heavy emphasis on simulating the driver experience rather than style. 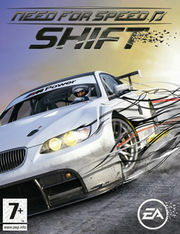 '''Need for Speed: Shift''' is being described as a racing game built by racers for racers. *'''Interior View''': Featuring detailed and fully functional cockpit that is also customizable. *'''NOTE:''' The following cars have all been spotted in various screenshots, videos, trailers and/or teasers for the game but have yet not been officially confirmed by EA, unless the car's name appears in bold. Click on each car's names for an ingame screenshot of that car. This page has been accessed 238,939 times.